Mix Six: "Wizards of Oz"
Do you come from a land down under? Many of us don’t, but many of us certainly love what the land of Oz has produced — musically speaking. Let’s all open a big can of Aussie and guzzle it on this week’s Mix Six. Remember in the 1980s when Australia was just, well, everywhere? In music, movies, TV, and of course, the radio. No? Well, I do, and the other day I was sitting around listening to music on my iPhone (on Genius Mix) and a bunch of Aussie songs came on and triggered one of those “Aha! This might make a good mix” moments. So a couple of songs on my iPhone leads to six, and now you have this week’s Mix Six. Yes, most of the songs featured are very mainstream, and some of the songs are pretty old, but hey, that’s the way the Foster’s oil can crumbles, right? I saw these boozy gals headline in San Rafael a few years ago, and they were hilarious. I say they were boozy because, quite frankly, they were completely lit on stage. But that didn’t stop them from putting on a great show that had the audience just naturally giddy. Okay, I would say more than a few had a good beer buzz going, but the band performed admirably and was having a hell of a time on stage. Sure, everyone loved it when the band busted out “London Still,” but “Sun Dirt Water” was another high point in the show that added the right kind of atmospherics after a number of rockin’ songs. The year I graduated from high school, Men at Work released this rather somber follow up to their debut, Business as Usual. The album did reasonably well, but it seemed all the wacky stuff they were doing on the first album was completely missing on songs like “Overkill” — which was probably the first time I’ve ever heard the word “nullify” in a song. Loved, loved, loved Shabooh Shoobah from INXS. Great songs, great vibe, and made me ready for more. When the group released The Swing — and the lead single, “Original Sin”– it was a tepid response by radio and even MTV in the U.S. But you know what? I freakin’ loved the song. It has such a cool and spare feel to it, allowing the lyrics (especially the chorus) to really bubble up to the front. Little did I know at the time that Daryl Hall sang backup vocals on this song, so listen carefully to the song if you didn’t know half of Hall and Oates sings on the chorus. When “The Dead Heart” came out, one of my friends called it the “Let’s diss the white people song.” But Peter Garrett does more than just sing the song from the point of view of Australian natives, he goes on to diss the fact that corporations have more rights than the ordinary Bloke or Sheila in the land down under. Now that he’s a big elected politico in Australia, he not only talks the talk of what he sang about all those years ago, but he walks the walk. Back in the day before my practice space burnt down and I lost my one and only place to play drums, I was fortunate enough to jam on this tune with a friend of mine. It’s got such a wonderfully primal feel to it, that how can you not like its throwback feel to another era of rock. And finally, I don’t think you can have a mix from Oz without featuring the grandfathers of hard rock from Australia, AC/DC. Sure these guys have a Johnny One Note quality to them, but boy do they play that one note well. 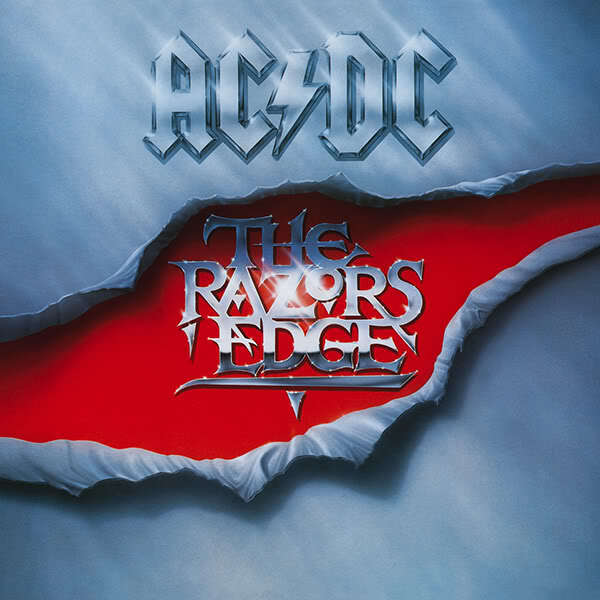 Yes, Phil Rudd — AC/DC’s long time drummer — was out of the picture when The Razor’s Edge came out, but Chris Slade added some serious balls to this album. And hey, who doesn’t love Angus’ riff on this song. It just screams Rock and Roll, huh.